Royal House: Orange-Nassau, founded 1544; stadtholders since 1559; sovereigns since 1815. 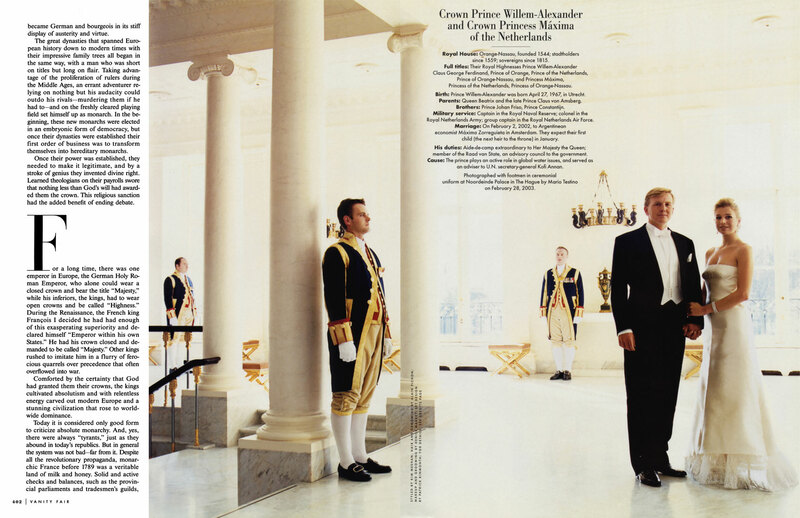 Full Titles: Their Royal Highnesses Prince Willem-Alexander Claus George Ferdinand, Prince of Orange, Prince of the Netherlands, Prince of Orange-Nassau, and Princess Maxima, Princess of the Netherlands, Princess of Orange-Nassau. by Mario Testino on February 28, 2003.